Heading for his Sunflower Trophy races debut is 35 year old Hawk Racing Buildbase Suzuki rider Richard Cooper. The Nottingham rider was in great form at the recent BSB meeting at Assen in Holland, where in the second race, finished 5th, just two seconds behind current Sunflower Trophy Holder, Glenn Irwin ( PBM Be Wiser Ducati). Cooper currently lies joint 13th in the ultra competitive BSB Championship, just 8 points behind Michael Laverty (TYCO BMW). Now in his 19th season, Cooper was the BMW Boxer Champion in 2005,and also British Superstock champion in 2011. 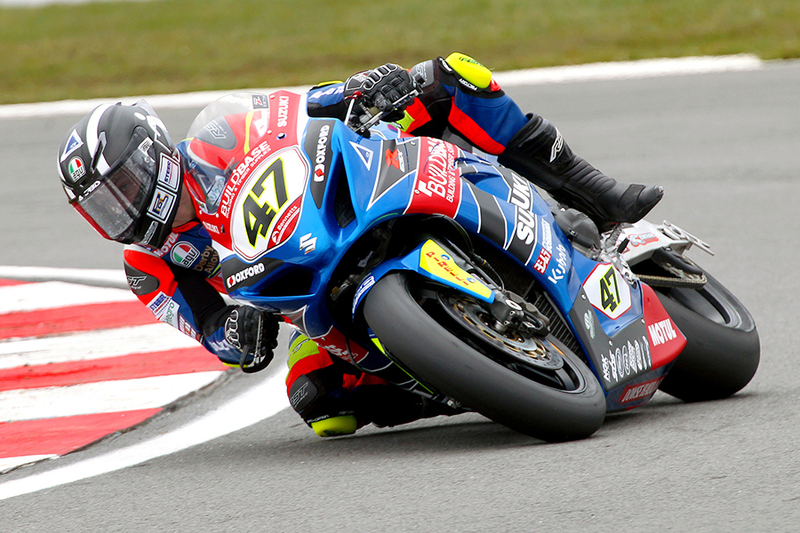 Hawk Racing Buildbase Suzuki,under the guidance of Stuart Hicken are no strangers to this event, but are still looking for their first win at this popular end of season event . Richard Cooper has tried to get to the Sunflower on various occasions, but events he was contracted to often clashed with the Sunflower meeting, and this year is the first time his diary is free!. Buildbase Suzuki will be bringing another,yet unnamed rider to the Sunflower. The Sunflower race meeting is organized by the Hillsborough MCC,and takes place on Friday and Saturday 19th/20th October at Northern Irelands Premier race track, Bishopscourt race circuit. Entries close for this event on Saturday (6th October),Anyone looking for Entries, Contact Derek McWhirter ASAP, dj.mcw@btinternet.com. Cooper, or “Coops” as he is known in the BSB paddock, may be small in stature, but has produced excellent results on the larger capacity machines. These days, Richard is a Test rider, a far cry from his first ride on a motorbike when he was a youngster, its fair to say, Coops rides bikes 365 days a year! !, When hes not racing, you will find Richard tinkering around the Buildbase machines, or working at his own garage, where he enjoys working on the popular Honda C90s!,Road bikes, C90s,Pit Bikes, as long as there are two wheels, Richard is in his element! It was back in 1999, at Mallory Park, ( where you will also find him fishing in the lake inside the circuit, which is now owned by Stuart and Steve Hicken, ( and Eddie Roberts) who happen to be his employers on the Buildbase Suzukis!) that a young Richard Cooper began his racing career in the Honda CB500 Class, with a second place finish in his first race, its pretty obvious,the bug was well and truly bitten! Since his debut, Coops has contested contest the Honda CB 500 Challenge, Honda Hornet Cup, Junior Superstock, BMW Boxer Cup, European Superstock, World Endurance, World Superbikes, British Supersport, British Superstock and BSB. 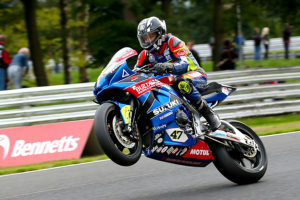 Watch out for #47,Superbike Races, Richard Cooper. Thursday 18th October ; Competitors will be admitted to the Circuit from 4.00pm, but will NOT be admitted to the Race Paddock until Paddock Marshalls are in place to sort Parking. Thursday 19th October; Spectators /Motorhomes etc admitted to Circuit after 6.00pm. Practice and Qualifying will commence Friday 19th October @ approx 9.15 AM. Five Races will take place on Friday afternoon. Car Parking and Viewing on Hard Standing Everywhere.